Kapil Mishra has Aquarius Lagna and Sagittarius sign. Currently he is running with Rahu-Sun Dasha. The Antardasha of Sun will remain effective till 1st March 2018. Mahadasha lord Rahu is placed in 6th house in his chart. 6th house represents enemies and opponents. The placement of Rahu in this house is creating different types of feuds and disputes. Besides this, Antardasha lord Sun is debilitated in 9th house with 8th lord Mercury. The formation of Kaalsarp Yoga is also taking place in 6/12 axis. 6th, 8th and 12th house are highly afflicted in the chart. However, in his horoscope Moon is placed in 11th house and Mars being the 10th lord is placed in 10th house itself which is providing him special capability of leadership and power. Due to this very reason he could be able to achieve name, honour and status in such an early age. In transit, Jupiter is transiting over natal Jupiter and Saturn over natal Saturn. Both the planets are retrograde and Jupiter is placed in 8th house which is giving trouble and posing obstacles in respect, honour and credibility. This house is also receiving the 10th aspect of transiting Saturn. That is why, there is decline in honour and health both. Transiting Mars plays extremely important role in keeping the opponents in check and calm. Presently Mars is in 4th house with Antardasha lord Sun in transit. Transit of Mars on 4th house generally gives malefic result. After analyzing the condition of all the planets it can be said that due to the bad effects of 11th lord Jupiter and Saturn in transit the result will not be pleasant for Kapil Mishra right now. So he is required to take precautions and maintain vigil. 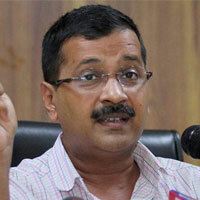 In the horoscope of Kejriwal the Lagna and Rashi is Taurus. Current Dasha Jupiter/Mars shall continue till 24th March 2018. Kejriwal's horoscope is also under the influence of Kaalsarp Yoga. Presently he is becoming the victim of Dhaiya of Saturn in 8th house. The Antardasha lord Mars is in Lagna in transit. His Sun is strong but Mercury is combust because of which the decision making power is not good. The transit of Jupiter in 5th house is beneficial for house of income and that of destiny but the transit of Saturn is creating problems for him day by day. The combustion of Mercury and debilitation of Saturn creates lots of problems for him as he doesn't have control on his language and all that keeps him in controversy always. What will be the result of the disputes? 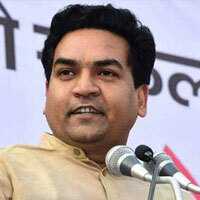 The Yogas prevalent in the horoscopes of Kapil Mishra and Kejriwal foretells that in the prevailing situation of Shani Sadesati, Shani Dhaiya and retrogression of Jupiter and Saturn Kapil Mishra should avoid lebelling unnecessary allegations because the time is not appropriate to overpower and win over the enemies and opponents. Only compromise and communication are the suitable way during this period. Pursuing this principle will be beneficial for him. दोनों के विवाद का फल क्या रहेगा?